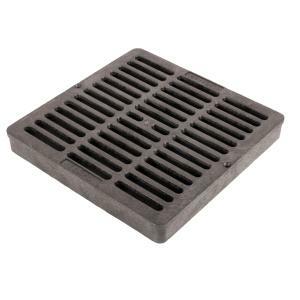 This is a durable, square, flat grate designed to be used with a catch basin. 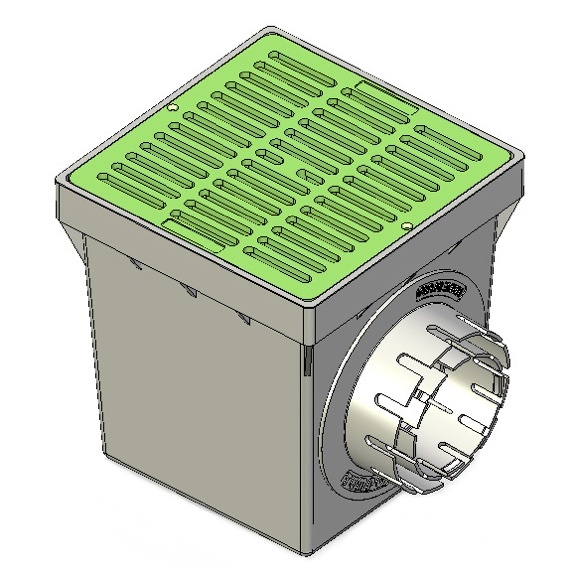 The large opening slots allow maximum flow while still preventing large debris from entering the drainage system. Capable of withstanding auto and light truck traffic at speeds under 20 mph. This square flat grate fits onto a catch basin and is used for medium sized areas of grass, flower beds, decks, driveways, golf courses, medians, etc. When installed, the grate surface is flush with the surrounding area. For safety reasons and to prevent vandalism or theft, the grate has two screw holes for securing to the basin. Available for 9", 12" and 18" basins. Slot Width 3/8″ 7/16" 15/32"
*Maximum load based on weight uniformly applied across grate surface.